The word designer in the title was misleading, I am no where near to be able to call myself that. Still a student, just kindof do design clothes, i make them, and such, that kind of way. This is what I meant. I feel the need to position myself and not in like I am “coming clean” kind of way, but address myself so its written in my history. Past two months have been exhaustinglyexciting, im currently on the way to Nice as I’m writing this but, Ive not had a a full day break since slightly before Richard Quinn. Afterwards, i dived into 2-weeks-into-submission phase, at the same time of all submissions, I had to prepare my portfolio work, which is 5 terms worth of work with extra side projects, redefining them. 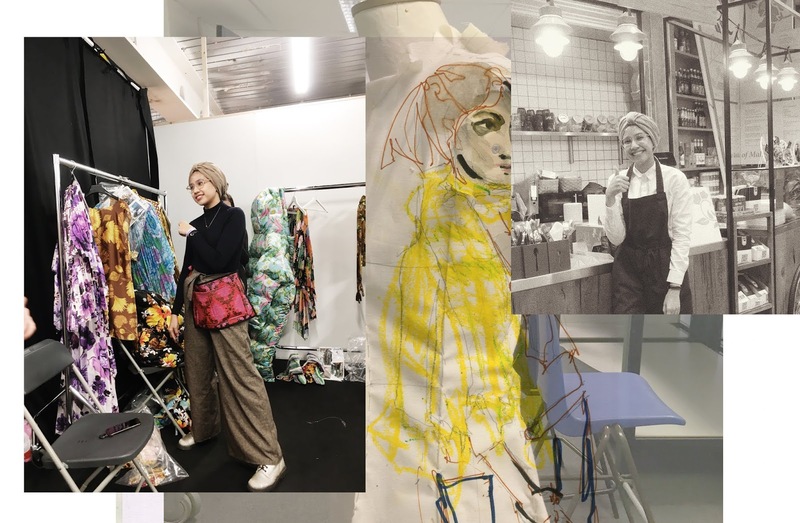 University requirements has boxes to tick, i cant just submit garments (which people often misunderstand what fashion students do, theres much more needed to qualify, trust me.) Read this in one breath as fast as possible, it means ur super smart: It wasn't productive days that I had - cause productive days you feel good about it after - mine was much more like - I had to stay wired in my work - grades depended on it, future depended on it -time felt like a tornado and me right in the middle of it - mind body soul stretched everywhere - at that point - I just wanted to pass - left hand sticking glue - right typing my cover letters - left foot flicking new research images - right foot solving pattern cutting equations - left eye looking at 1960s - right eye reading internship requirements - mouth munching on doritos. This was what a normal minute felt like to me. Heaven knows, what I was punishing myself for. Ive slept in total of 3 hours over the span of 72 hours, pulled through, went to uni in shoreditch with my garment bags, portfolio etc. Submitted them when I thought I wouldnt be able to make it, know that I submitted my main garment with an unfinished hem and lining haha. This was about at 10am, reached home at 10.20am to take a bath, 11am straight to the studio for my first day at a new job with Markus Wernitznig, who I was beyond blessed to be acquainted with during my time with at Richard Quinn. Markus is just dead amazing, he needs a blogpost all for him self that one. Heres the shortest magic trick of all time. Fashion, you know, fashun? It makes time disappear. Ta-da. Fast forward to now, Im currently in Angel, a place I have never explored before, sipping on japanese tea which took approximately 3 minutes to brew. A month ago, 3 minutes felt like 0.7 seconds. Today, I feel like I could be born, live a life in full circle, death and be reborn again, time is so slow. In that tornado, I took up a part time evening-shift job at Cafe Rasa, a malaysian cafe in Stratford, to be absolutely honest, I am not entirely sure why and how I could take up a 9th job. What I knew at the time, I am so sick of fashion I will puke if I see another fashion thingy. Weh. I mean, the artistry to make roti canai is like on another level. I learnt to make Murtabak, Roti Canai, Teh Tarik, Bandung cincau, Roti Jala, Ketayap, all things my mother wished i'd do when I was younger had I been a obedient daughter...... I found solace in it and it was my small escape. It felt like a vacation from everything, it blocked out the noise in my head. I learnt how to really talk to people, connect with strangers, the technique of multi-tasking, and so much more I never thought I had to learn. These were the things I just knew what it was but never put myself in the process of experiencing. I have always been told I can talk confidently to new people, but all Ive spoken to were mostly friends, colleagues, people I was introduced to, like somewhat familiar with atleast. But I never seen myself talk to complete strangers, a hundred times a day too. I actually found myself stutteringly-shy. This experience opened new boxes as well as ticked some off too. Not that I ever thought a job like this was not at par with professional jobs before, I had complete respect for it, but because I never knew what this job involves, I just knew it as a word - a cashier/waitress/front fullstop. But now i connect this words with words like communicator, people skills, good hustle, courteous, multi-tasker - fake it like your a 8-legged-octopus, maker, creator, a malaysian historian, organiser, good memoriser, and the international malaysian food society (if that actually exists) depends on me to present and create the best damn roti canai i could make. It was tough out there guys. I trusted my instincts, even if I didnt have a clue with what I wanted to do. I went searching for a deeper meaning that went beyond the things that were already surrounding me. From the obvious and familiar, I set out to discover my inner world. I feel that our youth is such an experimentational, expressive, rebellious playground-time of complete freedom before we nail down what path of life we'll be taking on. If so, I am using this freedom t0 be everything I can be and couldve been. I may NEVER get the freedom of time to do this ever again. As well as, I want to be able to connect to people at all ages from every single walk of life. Im supposed to be designing clothes for people arent i, so what better way to get to know them than this! This was the first time that my life took such uncontrollable leaps forward, backward, sideways, you name it. I was able to get a fair grip on my monstrous adolescent insecurities that otherwise might have gotten in the way of a healthy perspective on future opportunities. Experiences like these, increases ones human capital, knowledge, and feed into your ever-growing personality. So if youre a student, get out there, strip all your invisible pride and go hungry for knowledge, experiences, identity, shaping your personality and choices that may lead you to a treasure chest full of novelties and new adventures. What I meant by I cant talk to strangers. I would probably fail today's examinations in the science of serving but I want to atleast have a spontaneous warmth in me that people look back on with nostalgia. The people I have served sometimes has not been back to Malaysia for 20 years, and they look at me with deary eyes, searching to find a piece of home. The world has been gracefully generous with praises of my recent doings and I could actually whisper to myself, dont be too hard on yourself Anisah which was so nice in that tornado storm. But in all that glory, I love the p-r-o-c-e-s-s of it more than feeling like the first to be crossing the finish line. I love the unglamorous-gritty part of my life. 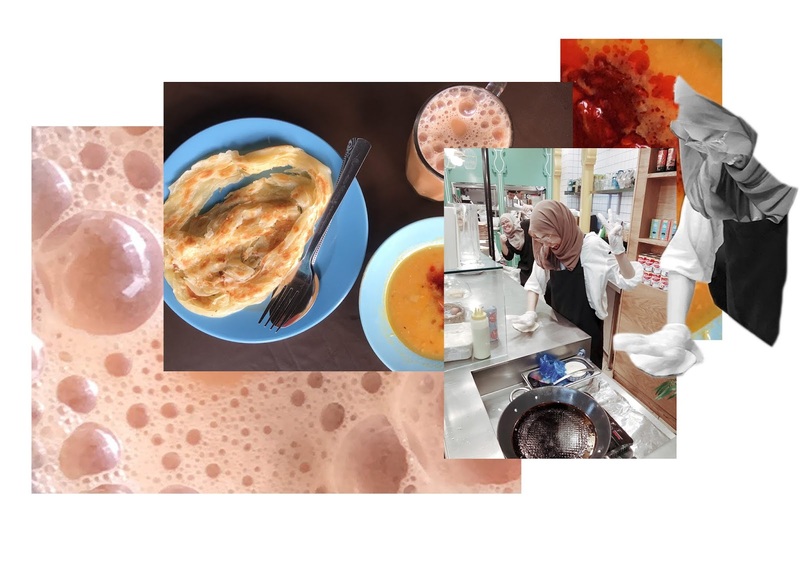 I hope your able to congratulate me too of making an amazingly creamy teh tarik, and be extra nice to the people who serve you food, whether at a small food stall or at a 5-star hotel. They go through so much in a day, maybe even more than me. It is something we look pass over too much and we.... actually I myself, forget that they have a human life filled with love, sorrow, experiences, ups and downs... just like me, who tried to fit a part time job in the cracks of my 64gb-high-speed life. Ramadhan Mubarak to all my friends!!! I hope this blessful month clenses our souls, purifies our blackened hearts, softens our bones to pray extra and let us be generous in everything we do from prayers to charity donations.